experience to the iPhone and be jam-packed with new features to keep players interested. 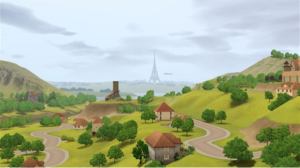 The basic concept of Sims 3 is the same as the prior Sims games. Control your character inside of a giant "sand box" environment. You assume control of every aspect of your Sim’s life from controlling which desires he acts upon to decorating his home and garden. The concept of Sims 3 for the iPhone is essentially to bring this already fun and intriguing style of gameplay to the handheld gaming platform. 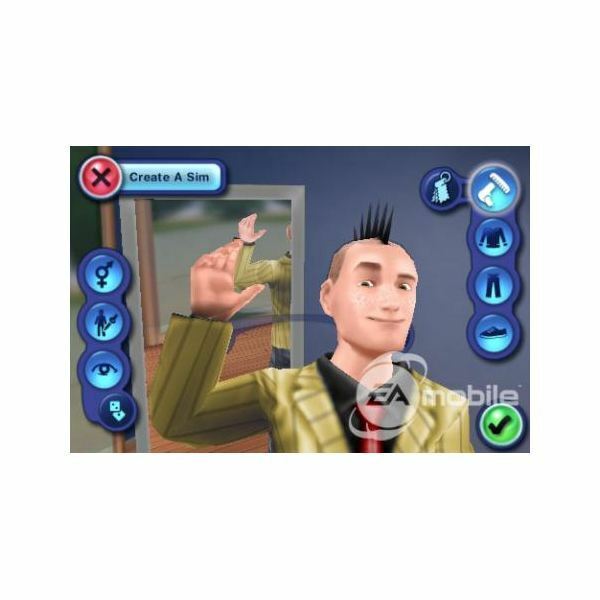 Sims 3 is designed to bring all of the existing features and gameplay elements directly to the iPhone without sacrificing anything. 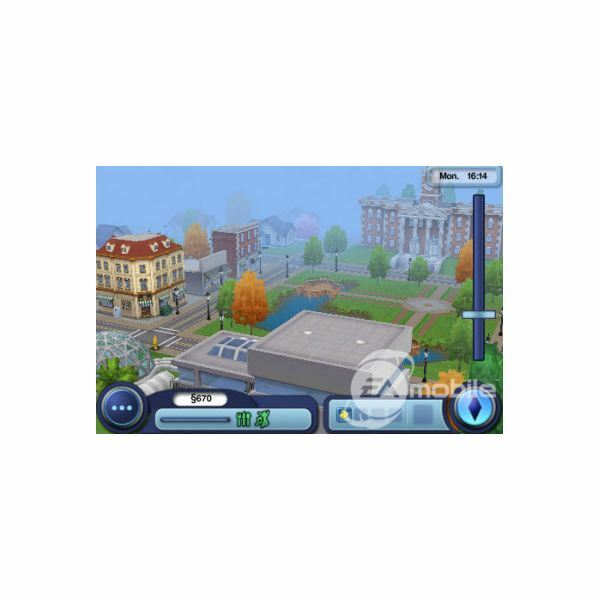 The Sims 3 for iPhone brings a superb audio and visual experience to the mobile platform. Capturing all the glory of a full 3D world complete with flawless audio is not an easy task. It is an even harder task when working with limited resources on a smaller, mobile device. Electronic Arts did a great job at making Sims 3 feel like a real game. It is often hard to remember you are actually playing on your iPhone as you stare into the 3D world of Sims 3. Sims look great and so does everything else in the environment. Buildings spring to life and lighting effects are even top-notch. The weather effects in Sims 3, such as fog, really show off the graphics engine. Audio is perfect and carries the same originality and quality as the Sims counterparts on the PC. The graphics do not slow down or lag and have a beautiful fluidity. The Sims 3 for iPhone is one of the most visually impressive games to be released for the iPhone to date. Gameplay in The Sims 3 for iPhone is everything you would expect and more. 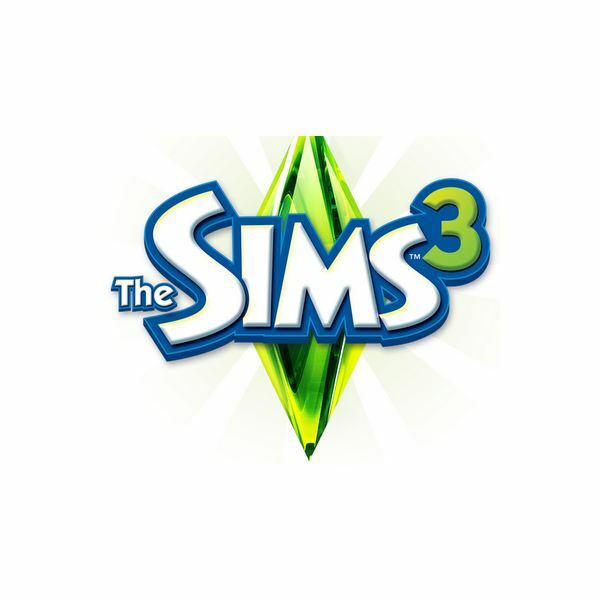 Electronic Arts claimed that the Sims 3 would revolutionize the Sims series but what it really aims to revolutionize is the iPhone gaming experience. The new features in The Sims 3 for iPhone are both creative and fun to play with but they are hardly revolutionary. The new personality system for the Sims 3 is a handy feature but it is not exactly what it was made out to be. It is hardly utilized during game play and provides only a few interesting moments. What truly shines about The Sims 3 for the iPhone is the classic Sims gameplay. The Sims 3 does an excellent job at bringing the tried and true Sims 3 gameplay that we all love to the iPhone. Controls are easy and the gameplay has a constant pace similar to the regular Sims games. You are responsible for all aspects of your Sim’s life and even control which thoughts he acts upon and which he doesn’t. Overall gameplay is an intriguing and fun experience that will prove pleasurable for children and adults alike. The Sims 3 for iPhone is an outstanding game which will provide long-term entertainment. The constantly changing world of Sims 3 looks beautiful and sounds beautiful on the iPhone. Electronic Arts has done an impressive job of scaling down a complex game to the small screen. Playing Sims 3 on the iPhone is both comfortable and natural feeling. The game does not lag or suffer from slow loading times which makes it even better. Gameplay is smooth and fluent. The Sims 3 for the iPhone is a great download for fans of the Sim series. Playing Sims 3 on the iPhone brings the wonderful gameplay of the prior games such as Sims 2 to the mobile device. Newcomers to the series will likely find the Sims 3 for the iPhone to a pleasant experience regardless of their age. For more great iPhone games check out the Top 5 Free iPhone Games. Also be sure to take a look at The Top 10 iPhone Games.